The Victoria Derby, also known as the AAMI Victoria Derby, is a Victoria Racing Club Group 1 Thoroughbred horse race for three-year-olds held under Set Weights conditions over a distance of 2,500 metres at Flemington Racecourse, Melbourne, Australia scheduled annually on the first day of the Melbourne Cup Carnival, AAMI Victoria Derby Day. The total prize money for the race is A$1,500,000 and $10,000 trophy. Flemington Racecourse holds 23 racedays each year – including the exciting Melbourne Cup Carnival in November and the Flemington Festival of Racing in Autumn. Each raceday offers something unique, from competitive first-class racing, high fashion and fine food. 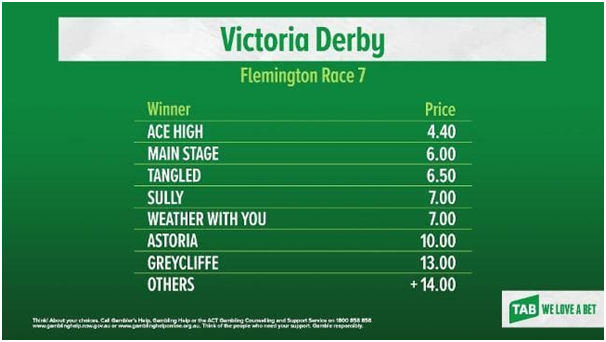 The 2018 VRC Victoria Derby is a Group I held over a distance of 2500 metres at Flemington Racecourse with total prizemoney of $1,500,000.00. 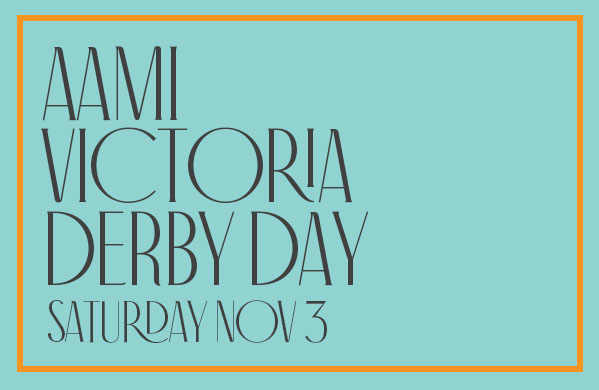 The VRC Victoria Derby was last run on Saturday, November 4, 2017 and won by Ace High. This year the race will be on Saturday, Nov 3, 2018 and the gates open at 8:30am with first race at 11:45am and last race at 5:20pm. 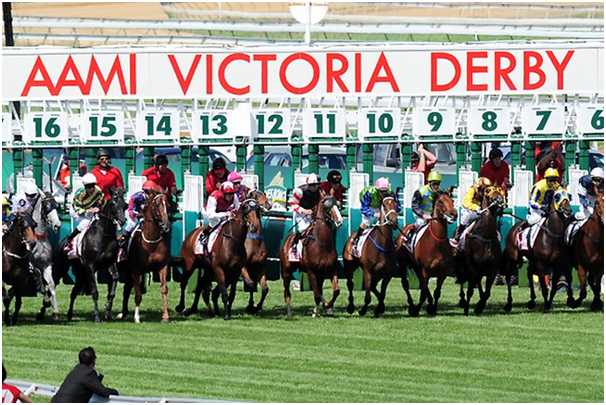 The AAMI Victoria Derby will take place at 3:50pm. The cup week starts with a fusion of monochrome fashion, first-class racing and celebrations at the AAMI Victoria Derby Day. 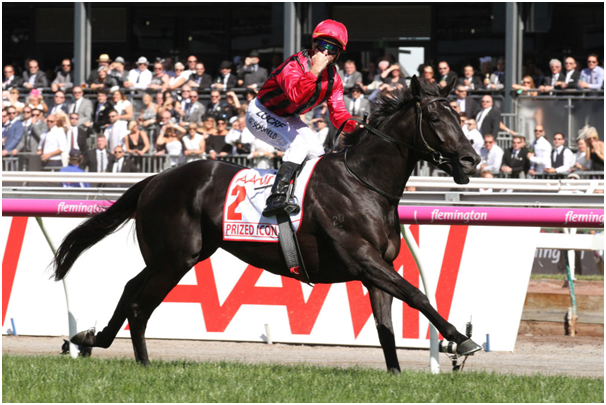 Regarded as one of the most prestigious days of racing of the spring, AAMI Victoria Derby Day features a card of nine Group races, four at the elite Group 1 level. 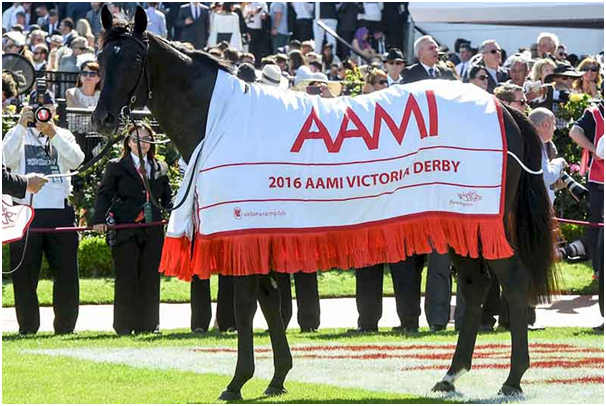 The feature Group 1 AAMI Victoria Derby, worth over AUD $2 million, is Australia’s premier staying classic for three year olds. You can pick up a racebook from the main turnstiles and around the course. It will tell you everything you need to know about the races, including the times of each race, details about the horses, trainers and jockeys, plus a map of the course and heaps more. If you’re new to racing and to Flemington, here are some tips to help you find the best places to see the horses and see them race. Parade Ring: Racegoers can view horses at rest in their stall, being saddled up for their race, and briefly being paraded before entering tunnel to the Mounting Yard. Mounting Yard: Racegoers can view horses being paraded at length in saddlecloth order, both before and after being mounted by riders, before they are then taken onto the track and to the starting barriers. Many options on course give you spectacular views of the track, including reserved grandstand seating, restaurants, corporate marquees, private boxes and enclosures. There are several ways you can place a bet at Flemington either with a bookmaker or through TAB on course and online (Tabaret and ‘The Tote’). Bookmakers can be found in a variety of locations on course. You can check the racebook for their locations, names and stand numbers. If you bet with a bookie then you win if your horse finishes first. When you back a horse for a Place, you win if your horse finishes first, second or third. There is no collect for third place if there are less than eight runners (except late scratchings). If there is less than three runners, there is no place betting. Bookmakers also offer Win/Place betting which is displayed similarly to TAB approximate dividends for each runner in a race. Win/Place betting is the fixed odds displayed on the bookmaker’s board, for example $3 Win, $1.60 Place, therefore a bet of $10 Win and $10 Place would return $46 if the horse won the race or $16 if the horse finished second or third in a race of eight or more starters. The Each Way rules do not apply to bookmakers betting Win/Place. Don’t forget to carefully check your tickets before leaving the bookmaker’s stand and do not discard tickets until correct weight has been declared. When you back a horse to Win, you win if your horse finishes first. When you back a horse for a Place, you win if your horse finishes first, second or third. There is no collect for third place if there are less than eight runners (except late scratchings). If there is less than three runners, there is no place betting. To win the First 4, you must pick the four horses finishing first, second, third and fourth in judges’ order. Note that the official Lexus Melbourne Cup betting provider is Tabcorp and TAB. The TAB provides totalisator betting (often referred to as ‘The Tote’) for all races and has many bet types to choose from. Totalisator betting means that all punters are betting into a pool, and the pool is divided among all the successful bets. This is why the dividend/price for your runner changes up until the race jumps. You can buy the tickets for this race easily by clicking here. General admission tickets allow access to all general public areas including the front lawn, Hill Square, Hill Stand level one and two, the betting ring, Saintly Place, The Park and all public bars. The adults ticket cost AU$83, the student need to price AU$67, the pensioner costs $45, the ticket for child under 16 is all free. The Victoria Derby honour roll includes champion gallopers such as Efficient, Mahogany, Stylish Century, Red Anchor, Dulcify, Tobin Bronze, Tulloch and Australia’s most famous horse – Phar Lap. The race is a gruelling test of stamina for three-year-olds, and is essentially a ‘survival of the fittest’ as many of the runners fail to see out the journey and plod to the finishing line. 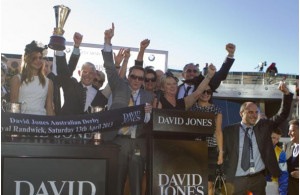 Generally, the more seasoned horses, those that have had more racing than others, are better equipped to handle the testing conditions of Derby Day.